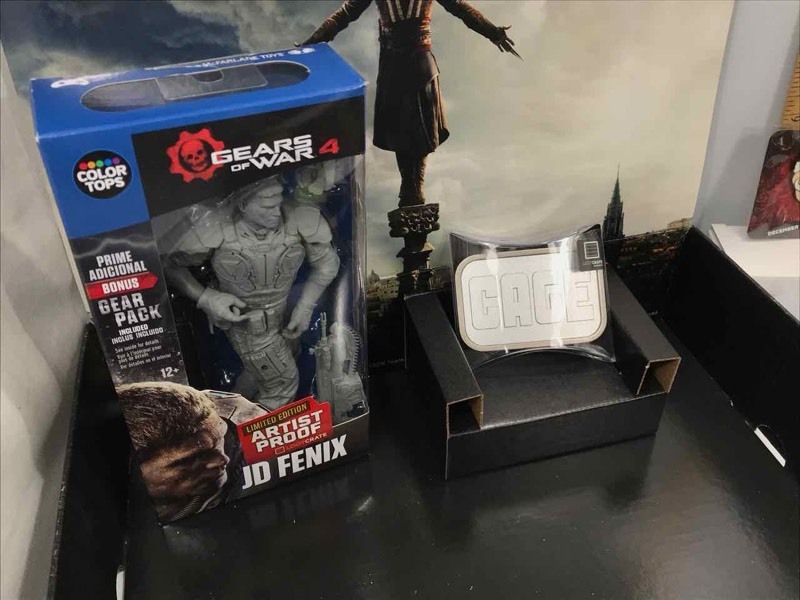 Lot 15: (1) Exclusive Gears of War 4 J.D. Fenix Artist Proof Figure. (1) Pin: Mr. Robot. 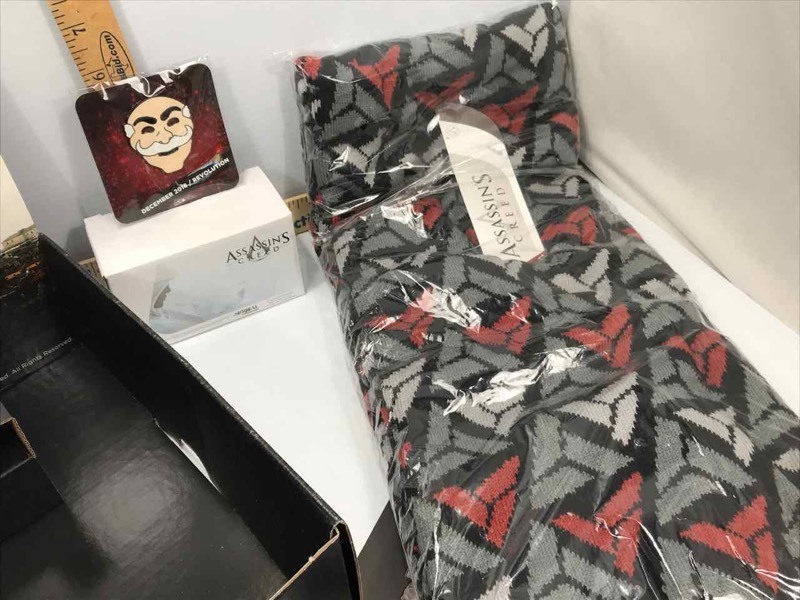 (1) Assassin's Creed Scarf. (1) Luke Cage Belt Buckle. 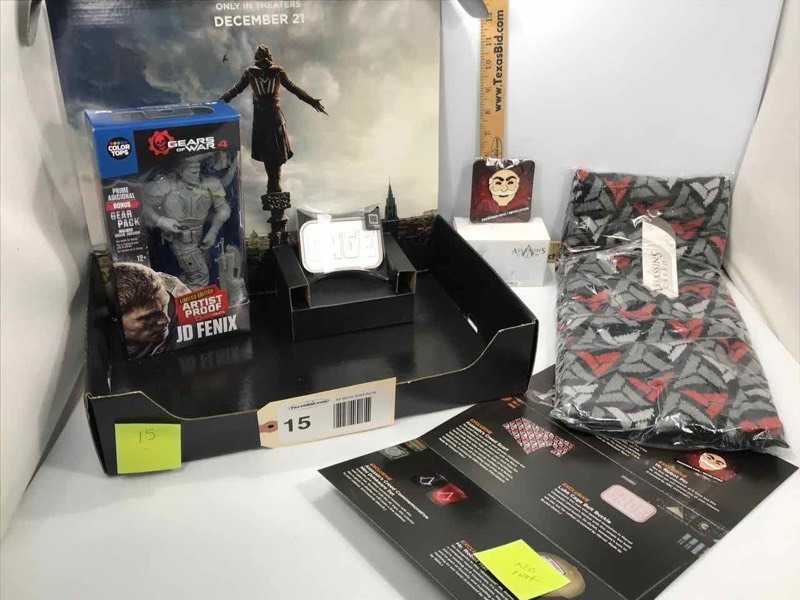 (1) Box: Assassin's Creed Mini Drinkware Set (shot glass size). 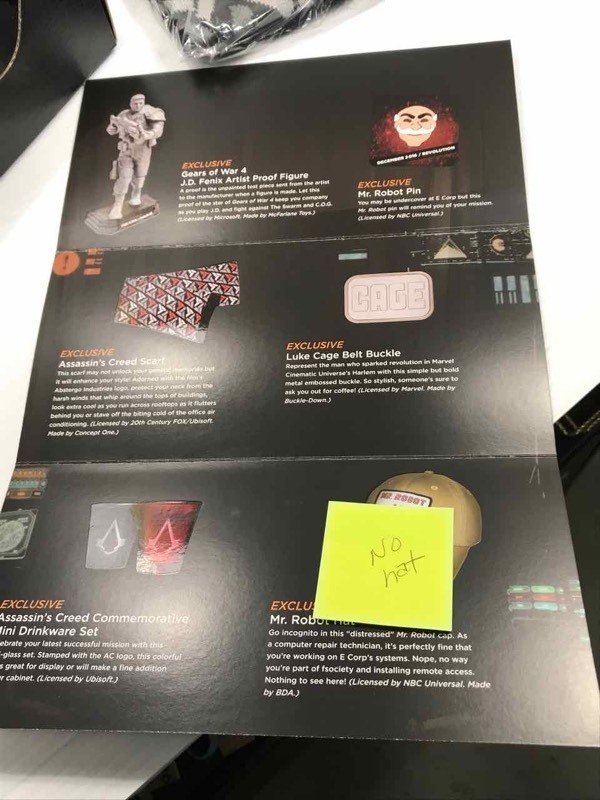 MISSING is the Mr Robot hat.